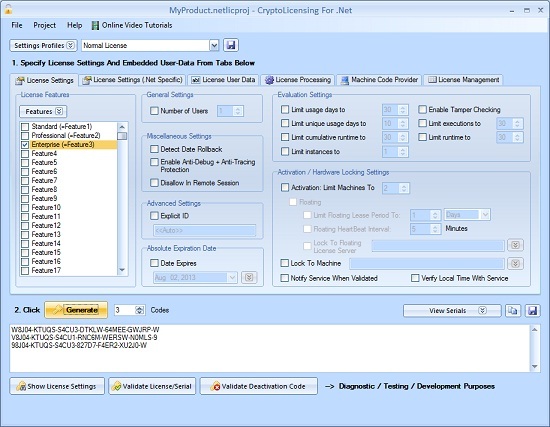 CryptoLicensing is a licensing management and copy protection software featuring trials, activation, floating/leased licenses, hardware-locking, domain-locking and more. It supports all VB6, VBA, RealBasic, Delphi, Borland, MFC, ATL, C++, etc applications, libraries, components and controls. CryptoLicensing uses the latest military strength, state-of-the-art cryptographic technology to generate secure and unbreakable licenses to ensure that your software and intellectual property is protected.